No, you're not crazy. Or maybe you were thinking I may have finally lost it. In preparation for The Rockwell Automation Fair 2015, we are sending out HUMPDAY on a Tuesday. Blasphemous! This was part of an open house (round two!) put on by Grace for our sales reps who have come into town from all over the world to kick off the Automation Fair. Yesterday, we started the morning with a tour of the facility followed by open sessions held in the training room and we were at full capacity. I have been here a mere three and half months and I was blown away. Somebody asked me if I had realized the scale of Grace's global reach until now, and I hadn't! The most Chipotle I had ever seen in my life was catered for lunch, while dinner was another story. The Crepe Guy and his team of top notch chefs, fit for their own Food Network reality series, utilized our kitchen to present a pork feast that appeared to be made for Valhalla. Seriously, there was an entire pig head as part of the presentation, followed by crepes for desert. It has been a very long road to Automation Fair this year that started way before I even came aboard. My contributions pale in comparison to the amount of work the Team at Grace put into our brand new show booth this year. We'll be located at Booths 312 & 313. Phil will be giving a presentation on Electrical Safety by Design both days from 1:00 pm - 2:00 pm at Booth W185D. If you are reading this and you'll be there, come check it out! 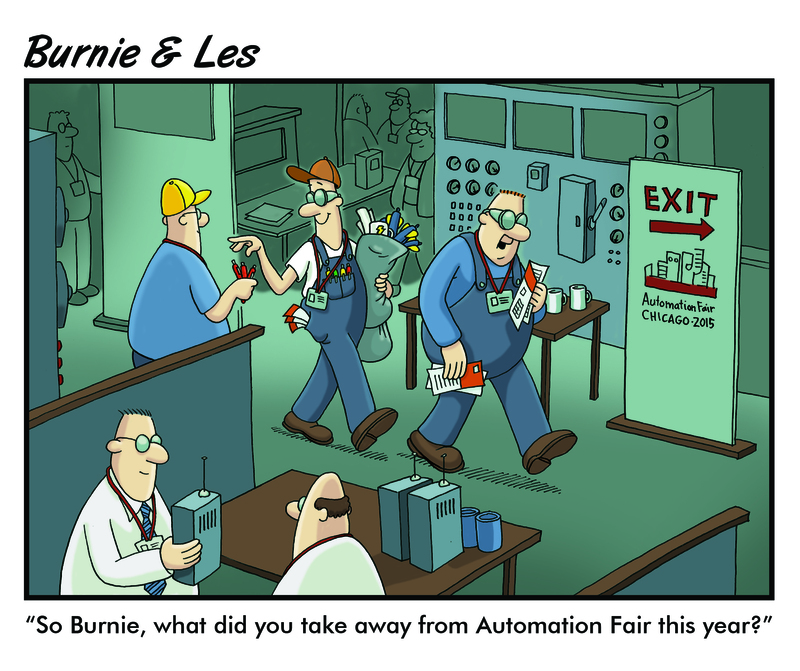 Burnie & Les go to the Automation Fair. This one was inspired by an episode of The Office where Michael goes to a trade show and his mission is to collect as much S.W.A.G. (Stuff We All Get, or promo items for the layman) as possible. Arc Flash is more than just labeling. Although electricity once was considered a scientific curiosity, today it’s an essential part of everyday life. Unfortunately, familiarity with electricity can sometimes cause electrical professionals to overlook or minimize its potential hazards. Though fatal and nonfatal electrical injuries have declined significantly in recent decades, risks still exist. Regularly conducting arc flash analysis, and actively maintaining an arc flash program, is critical for helping identify and prevent issues that might lead to an arc flash or blast. The site has been officially re-launched today, so head on over and join the discussion of electrical safety culture. Please Follow and Like us on our respective social media pages and send articles, stories, or any relevant topics of interest to nschiltz@thecurrentmonitor.com. 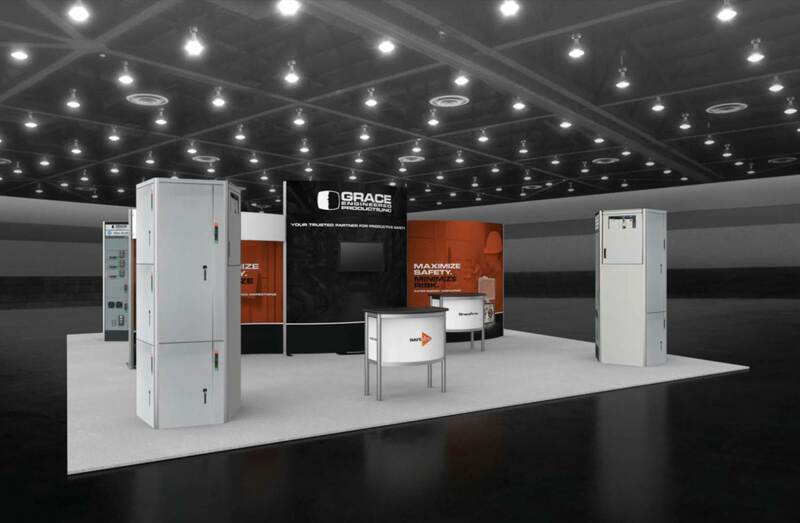 The Rockwell Automation Fair 2015 starts this week! Yesterday we kicked it off with an open house for our reps. There was food, beer, wine, and a pig head. If you're going to be at Automation Fair this year, stop by Booths 312 & 313, and for Phil's speeches, Booth W185D at 1:00 pm, both Wednesday & Thursday. Alas, the Giveaway will be the same as last week; S.W.A.G. promo items. Same survey too, so you do not have to answer the question if you have already.